New Mail is all about efficiency and performance. Enjoy a less cluttered interface, improved stability, and more responsiveness. Most features you know and love are present and we're adding more as we go. 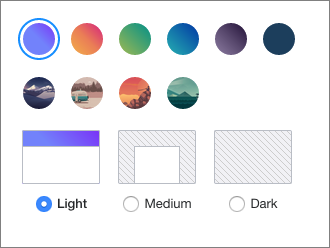 Theme - Add a splash of color or an image to your Inbox and adjust how much of it you'll see. Message layout - Streamline your Inbox to see just a list of emails or a message preview pane. 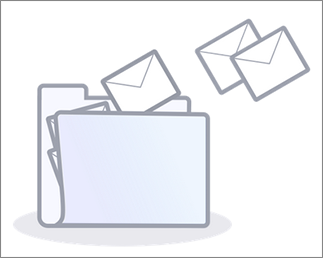 Inbox spacing - Adjust the space you see between each email in your Inbox and folders. Stationery - Create expressive, meaningful, professional, or fun emails with a background. 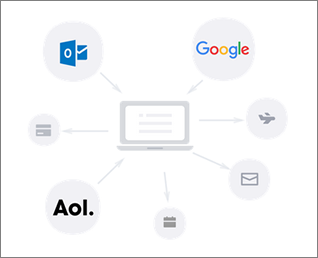 It’s common to have more than one email address, so we’ve made it possible to keep them all in one place. Add your other email addresses to Yahoo Mail just by signing in, then you'll be able to read, send, and organize emails from all of your inboxes right from your Yahoo account. Use automated tools to keep your Inbox clutter-free! Conversations - Each reply to an email chain is grouped together for easy organization. Views - See all emails based on a topic, such as photos, with contextual bonus features. Filters - Sort incoming email to any folder. Archive - Don't worry about whether an email should be deleted or not, archive it instead to remove it from your Inbox but still keep it safe.